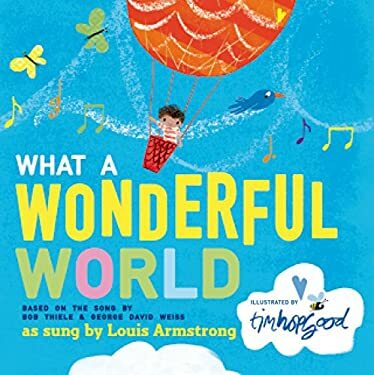 First recorded in 1967 by Louis Armstrong, and with sales of over one million copies, "What a Wonderful World" has become a poignant message of hope for people everywhere. Sweet and positive in its message, with bright, beautiful art, this book is sure to be a hit. Perfect for sharing! New (279 available) BRAND NEW. Over 1.5 million happy customers. 100% money-back guarantee. Make your purchase count: support Better World Books' worldwide literacy partners. Used Very Good (1 available) Former Library book. Great condition for a used book! Minimal wear. 100% Money Back Guarantee. Your purchase also supports literacy charities.